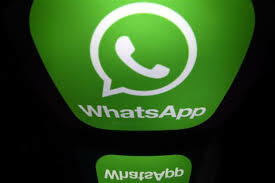 India’s political parties have been abusing Facebook Inc’s popular messaging service WhatsApp ahead of the country’s general election and the company has warned them not to do so, a senior executive said on Wednesday. Woog said they had engaged with political parties to explain the company’s view that the app was not a “broadcast platform”. WhatsApp has been at the center of controversy in India since last year after false messages spread on its platform sparked a number of mob lynchings. A pin lies in wait for every bubble. And when the two eventually meet, a new wave of investors learns some very old lessons: First, many in Wall Street – a community in which quality control is not prized – will sell investors anything they will buy. Second, speculation is most dangerous when it looks easiest.